Go Outside print will look great in playroom, boy's room or cabin. 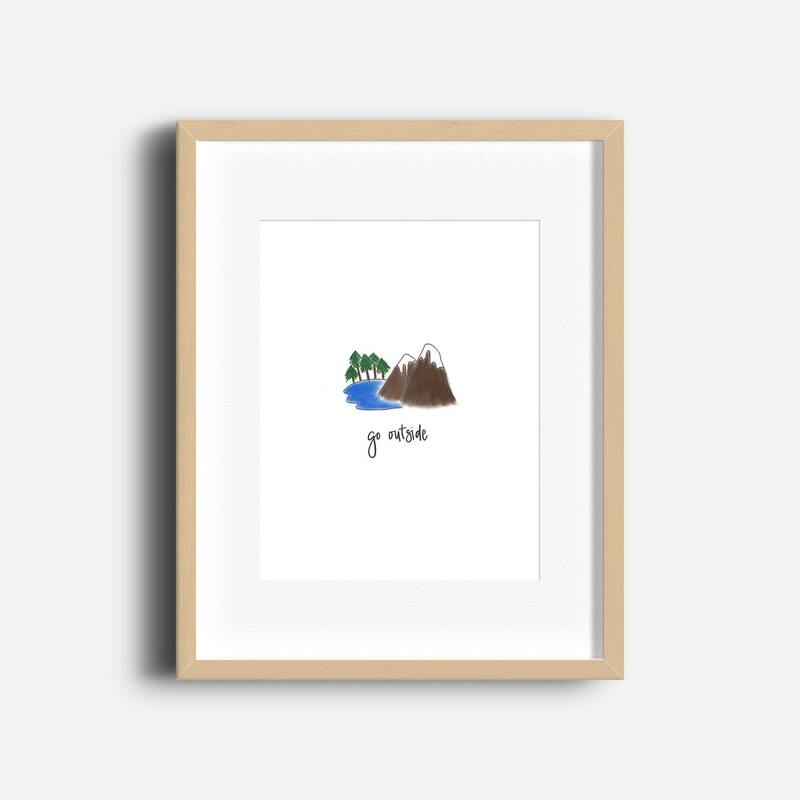 With technology taking over our lives, this outdoorsy art print will remind you to get outside and enjoy the outdoors! It can be displayed as part of a gallery wall, by itself on a wall, or on a shelf. This hand lettered and drawn print is printed on 100% cotton, acid-free, archival 230 gsm paper by a professional printer and will arrive at your doorstep ready to be framed. Please allow 3-5 business days for printing.